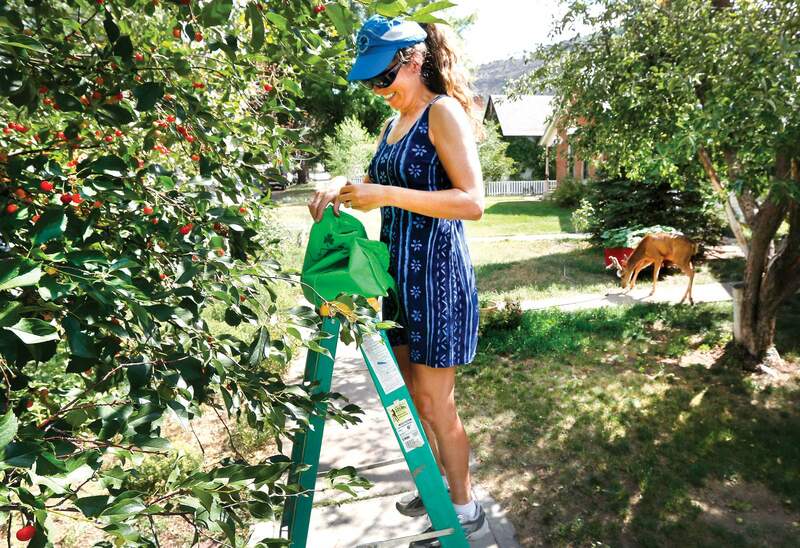 The bountiful harvest of neighbors comes in handy for Ilana Stern, who has plenty of baking plans for cherries she is collecting after seeing a Facebook post by her friend Beth Lamberson offering to share the yield from her Durango tree. Beth Lamberson posted on Facebook offering to share the harvest from her cherry tree drew Ilana Stern. Coming soon to the Stern kitchen table: cobbler, cherry pie and ice cream. 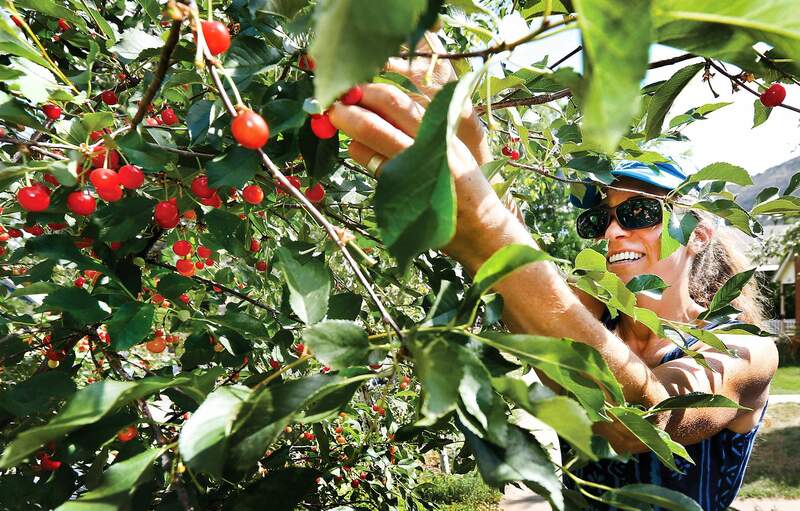 Cherry pie, ice cream and cobbler is on Ilana Stern’s to-do list with the cherries she picked after seeing a Facebook invitation by her friend Beth Lamberson to pick from her Durango tree Monday. In partnership with Jim Dyer and Healthy Community Food Systems and Bear Smart Durango, the Colorado State University Extension Office has established a Fruit Gleaning Program: a website to match people that have excess fruit with those who could use more. The website is expected to be operational sometime this summer. For more information about the Fruit Gleaning Program, email Darrin Parmenter of the CSU Extension Office at Darrin.parmenter@colostate.edu or call 382-6463.